The Merlin+ comes as standard with a factory engineered/configured Acoustic Signature TA-500 tonearm & MCX2 cartridge. The MERLIN turntable weighs in at 16 kg and marks our new entry to our series of the exquisite high mass turntable. With the MERLIN design, Acoustic Signature bring together one of the most sophisticated external drive and power supply systems, with a massive turntable design at a very competitive price. It‘s all combined with the award-winning performance, elegance, convenience and comfort that have made our high mass turntable series so successful all over the world. With the new MERLIN, Acoustic Signature combine a massive aluminum plinth of 40 mm with a 34 mm massive 6.4 kg aluminum platter. All of the parts are finished with a sensational high gloss polished surface - the best you will see on any turntable currently in production. 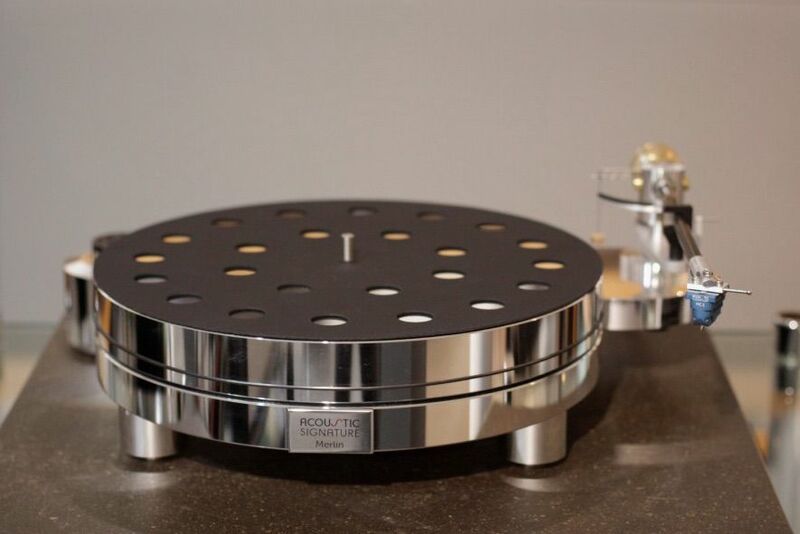 Acoustic Signature have also applied a special coating on the under side, with an incredibly high damping material -this further improves the resolution and fine dynamics of this world class 'turn-key' turntable. This platform is also a perfect fit for the class leading and unique Tidorfolon-bearing spinning the platter with the ultimate accuracy. The highly engineered and uber accurate analogue motor electronic provides the perfect speed stability and easy operation. All parts together result in the sound of the MERLIN, so outstanding for it's price class and engineering prowess. 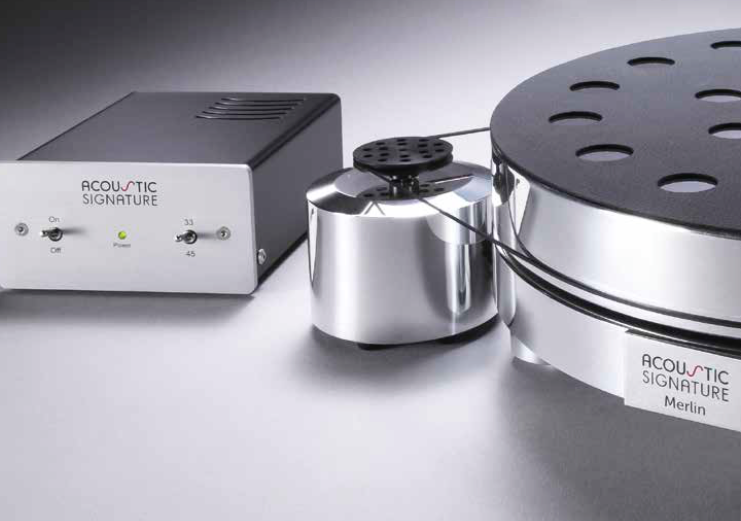 ACOUSTIC SIGNATURE believe that a motor system for a turntable should have enough energy to speed up the platter but not influence it in any way during rotation. Acoustic Signature reach that aim by using a bespokely made synchronous motor with their own highly advanced motor control. This drive system is 100% stable in it's rotation accuracy allowing for huge improvements in 'wow' and 'flutter' compared to it's competition. The bearing is the heart of every turntable. At the base of the bearing, Acoustic Signature use their specially developed „high-tech“ material Tidorfolon. The Tidorfolon-bearing comes to you entirely maintenance free and covered with a market leading 10 year warranty.